Vegetables. There’s something so terrible about them when you’re young, and something fearfully boring about them when you’re older. But add the word “roasted” to any veggie, or to any food at all really, and your brain just perks up immediately. Roasted vegetables have a rustic sophistication that conjures thoughts of that warm smoky aroma with the velvety lusciousness and richness of the texture that sets them completely apart from their un-roasted counterparts. If I could eat all of my vegetables roasted, aside from perhaps leafy greens and cucumbers for a salad, I think life would be just wonderful. Let’s not gloss over the fact that roasting vegetables could be one of the easiest, healthiest, and most bang-for-your-buck ways of preparing vegetables. Add the phrase “roasted [vegetable of choice]” to any dinner menu and it instantly kicks up the classiness of the dish by a factor of 3, which suddenly makes roasted vegetables any dinner host or hostess’ new best friend. 1. 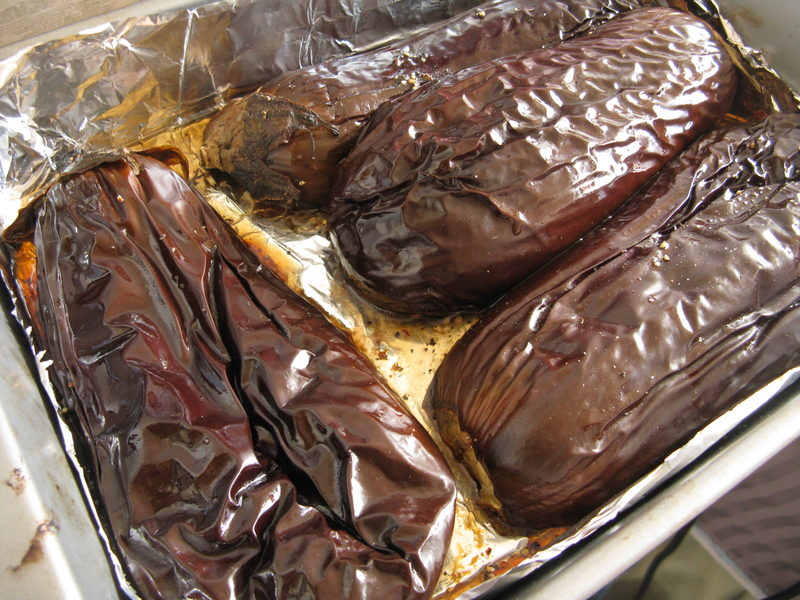 Preheat oven to 400 degrees F. Cut the eggplants in half length-wise and rub the flesh with olive oil, salt, and pepper. 2. Place the eggplant halves with the cut side down in a large baking pan, and bake, together with the garlic (see below for preparation) for approx 45 minutes until the flesh is very soft. A knife should slip easily into the tough stem of the eggplant when they are ready. 3. Remove from oven and allow to cool until it can be handled. 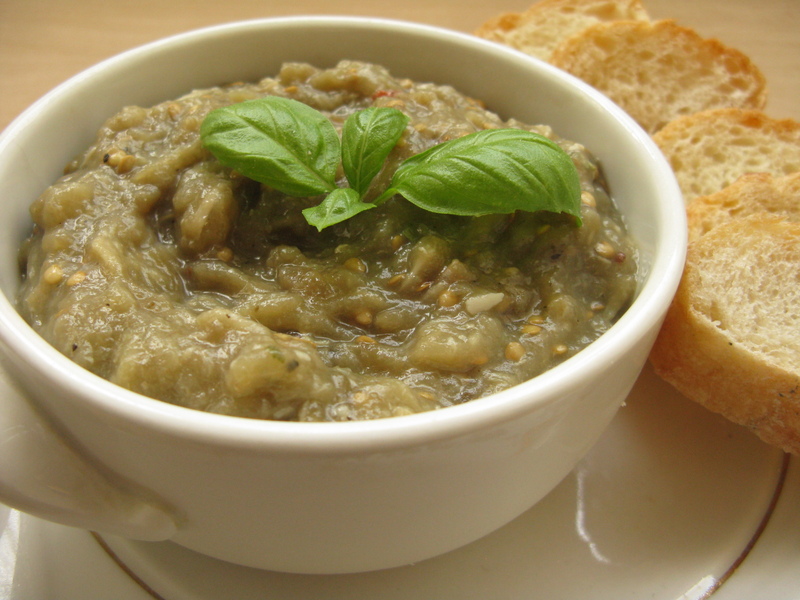 Spoon out the flesh from the eggplant halves, and place in a large bowl. 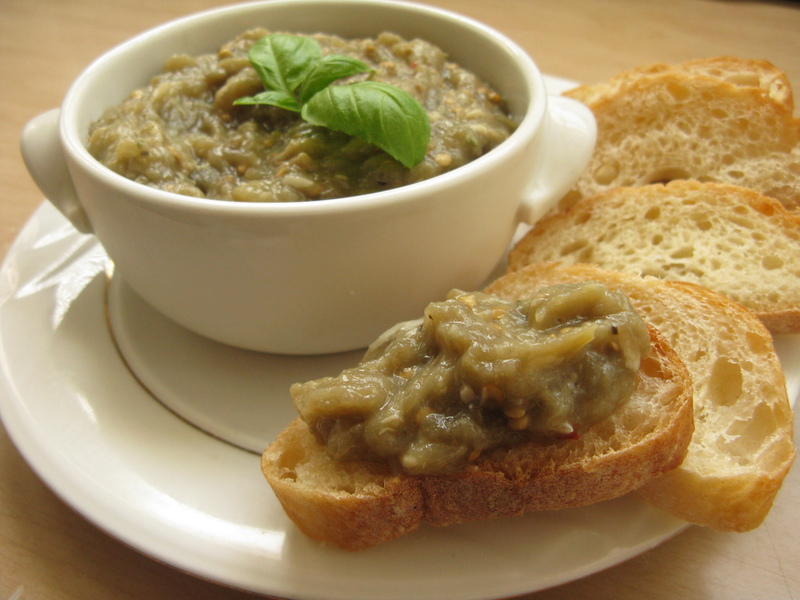 Using a fork, stir and mash the eggplant flesh until it is a smooth puree. 4. 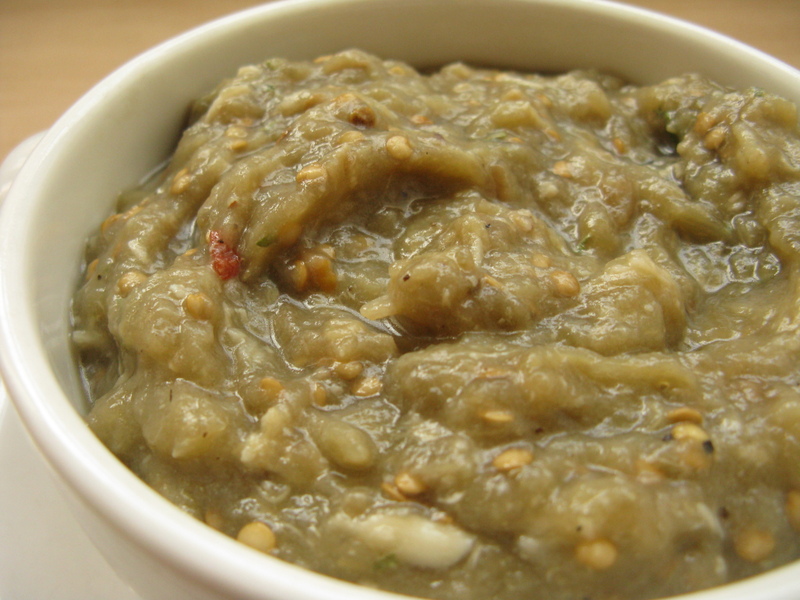 Mash the roasted garlic on the side, and combine with mashed eggplant. 5. Stir in 2 tbsp of olive oil, and season as desired with salt, pepper, and red pepper flakes. For a richer taste and texture, you can add more olive oil as needed. 6. Garnish with basil and serve with freshly sliced French bread or crackers. Can be enjoyed warm, at room temperature, or chilled. 1. Preheat oven to 400 degrees F. Peel away most of the dry layers from the outside of the head of garlic. 2. 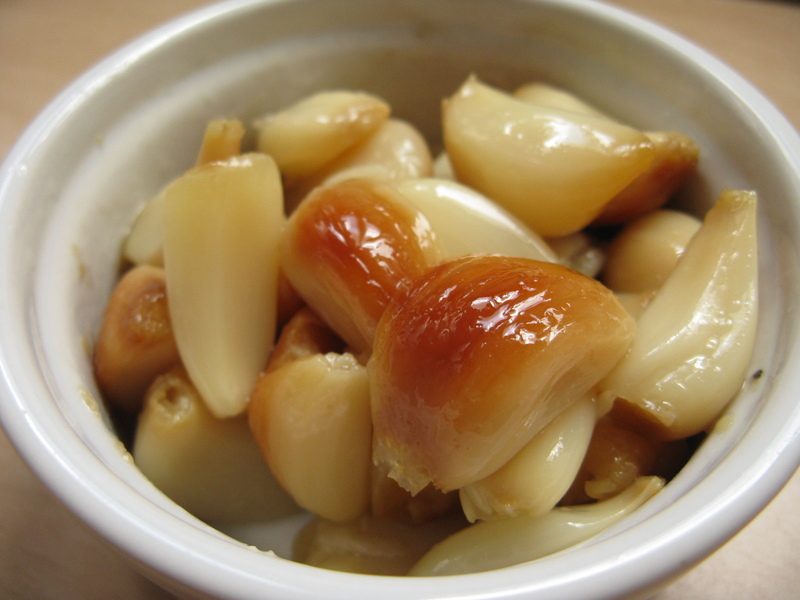 Chop off the top of the garlic, such that you expose the flesh of the cloves. You may miss some of the shorter cloves, so you can break their tops open with your fingers. 3. 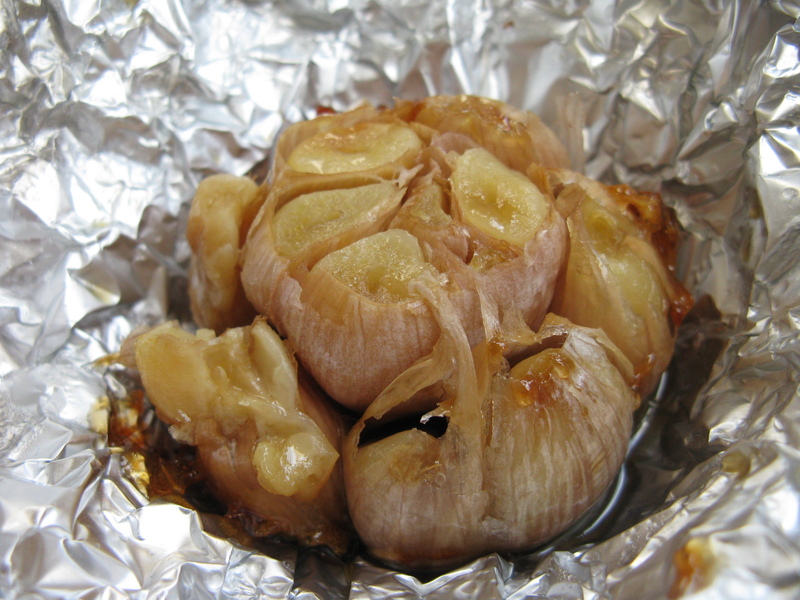 Wrap garlic with aluminum foil, leaving the ends to meet at the top. Drizzle the top of the garlic generously with olive oil (approx 1 1/2 tbsp per head of garlic). 4. Seal the aluminum foil at the top and place in a slot of a muffin pan if using one. 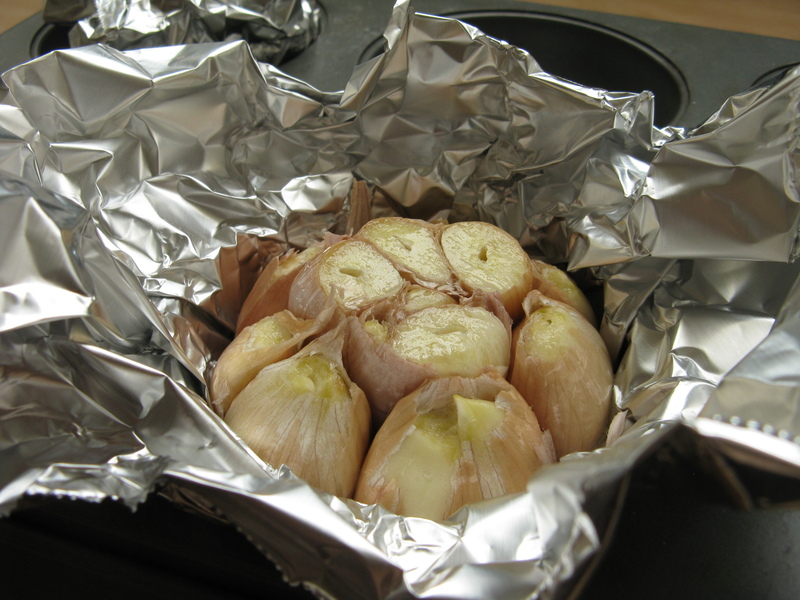 Otherwise, just place the wrapped garlic with the opening facing up (of course) into the oven. Bake for about 45 minutes to 1 hour. The garlic will look nicely caramelized and smell amazing. 5. Remove and cool slightly before peeling at the garlic and using a small fork to pick out the garlic cloves. The cloves should be soft and have a nice golden-brown color on the outside. You can mash them or use them whole in cooking as desired. So easy! This entry was posted on Sunday, October 10th, 2010 at 5:35 pm	and posted in appetizers, cooking, healthy, recipes, vegetarian. You can follow any responses to this entry through the RSS 2.0 feed. love the new layout of your blog. 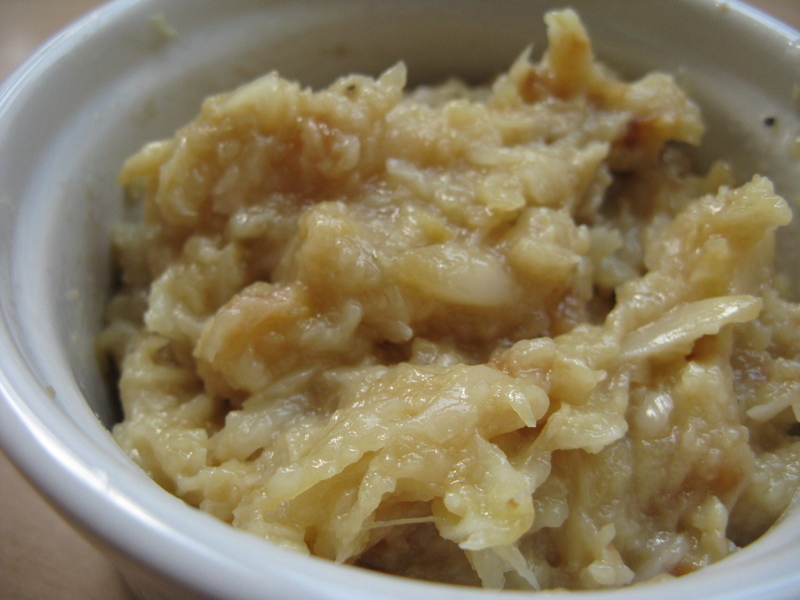 Would love to hear and see more photos and recipes of your mum’s home-cooking – the old photos were so mouthwatering!